Slow cooking is on trend again, after almost four decades of people giving up on this cooking method. But as we learned that fast food and pre-packaged meals heated in the microwave are pretty bad for our bodies, it’s time for slow cooking to shine again! Find out why it is so popular and how to cook slowly without a slow cooker. People have been slow cooking since long before slow cookers were even invented. The first man who developed a slow cooker is Irving Naxon who made, in 1950, a device for simmering a bean meal. But that doesn’t mean he is the inventor of slow cooking; he was just inspired by a story his grandmother told him. Many decades before, back in her native Lithuanian town, her mother made a stew called cholent, which took several hours to cook in an oven. So, slow cooking was a technique people found useful many years ago. In 1970, Naxon’s bean cooker was developed into a large-scale production model of the slow cooker, which could prepare an entire family meal, and with way more ingredients than just beans. And that is how the Crock-Pot was invented. Slow cookers became very popular in the US during the 1970s, when many women began to work outside their homes. But soon enough, ‘fast food’ and microwave ovens became so much more popular than the crock pots. In recent years, people have been more aware of how bad fast food is for their health and of the advantages of homemade real food, so slow cookers are again on trend. Dozens of food bloggers and writers have turned their attention to slow cooking, all of them sharing their love for this cooking technique. Slow cookers give you the opportunity to prepare healthy meals for your entire family with a minimum of effort. You just have to turn on the machine in the morning, go to work, and have a warm delicious meal in the evening. Sounds wonderful, right? Well, things can be incredibly simple if your recipe just asks you to place raw food and a liquid (such as stock, water, or wine) in the slow cooker, putting the lid on and turning it on. But there are also recipes that ask for different actions while slow cooking. Like braising the vegetables or preheating the liquid before adding them to the slow cooker or adding more liquid in the process. A slow cooker has various advantages, like saving your time and effort. I don’t have one, because I’m more of a traditional cooker and I also don’t like cluttering up my kitchen with all kind of gadgets, because everyday something new appears. So, what can you do if you crave a slow-cooked meal like pulled pork or slow-cooked duck legs confit, but you don’t have the kitchen device? Well, since slow cooking was a popular technique long before the crock-pot appeared, I decided that I can also do it without getting one. At first, you should choose a recipe that works for slow cooking. Then, depending on your recipe, decide if you’re going to cook it on the stove or in the oven. Depending on that, you’ll be able to choose the right cooking pot for the task. For slow cooking on direct heat, on the stove, the stockpot is probably the best pot you can use. A stockpot is a large pot with two handles and a lid, usually made from stainless steel or aluminum. If you have this option, choose a heavy-bottomed stockpot. Cooking in a stockpot on the direct heat of the stovetop means that you can adjust the heat easily. 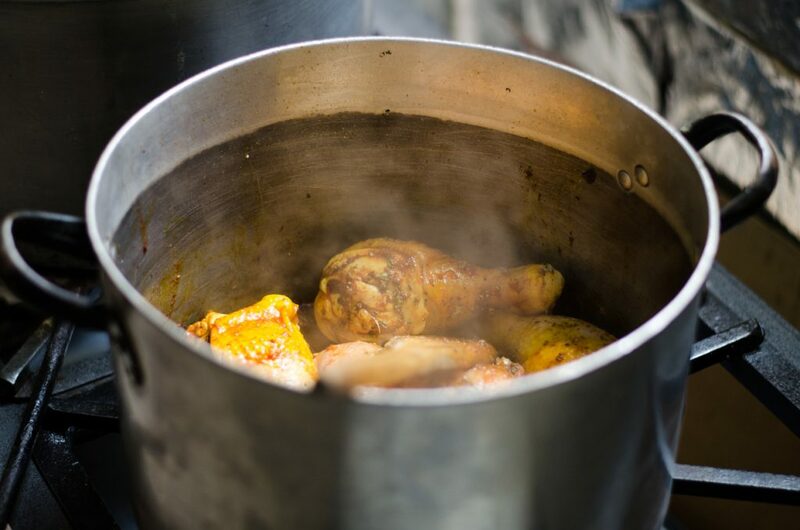 Once the food is cooked, you can also remove it from the cooking liquid and increase the heat to reduce and thicken the sauce before serving. 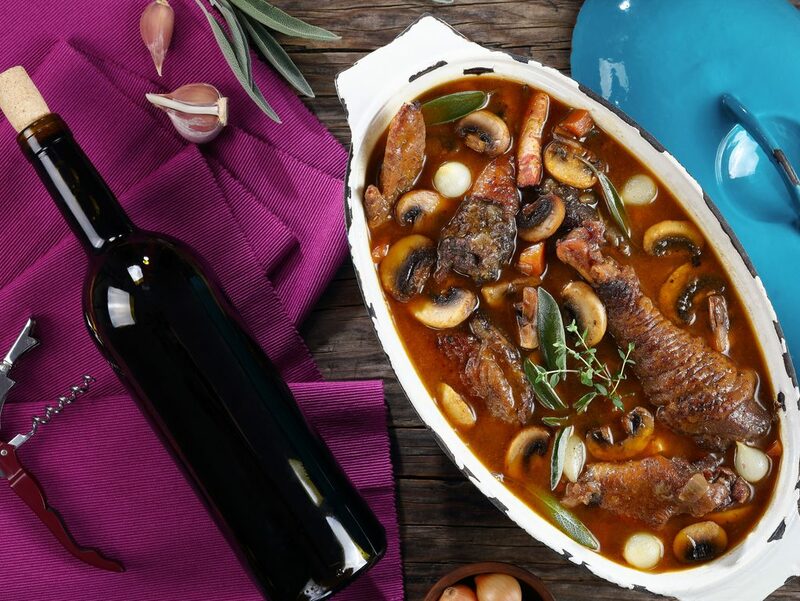 For slow cooking in the oven, use a cast-iron Dutch oven or cast-iron casserole, which distribute the heat evenly. You can also use glass, ceramic, earthenware or any other heatproof material casseroles, but we think cast-iron is the best option. For slow cooking in the oven, you should brown the meat on the stovetop before placing it into the dish. Then, add it in the Dutch oven along with vegetables, liquid, herbs, and spices. Let it cook gently, on low heat, until the meat is tender. Cast-iron casseroles can also be used on the stove, so you won’t need another pot to brown the meat first. 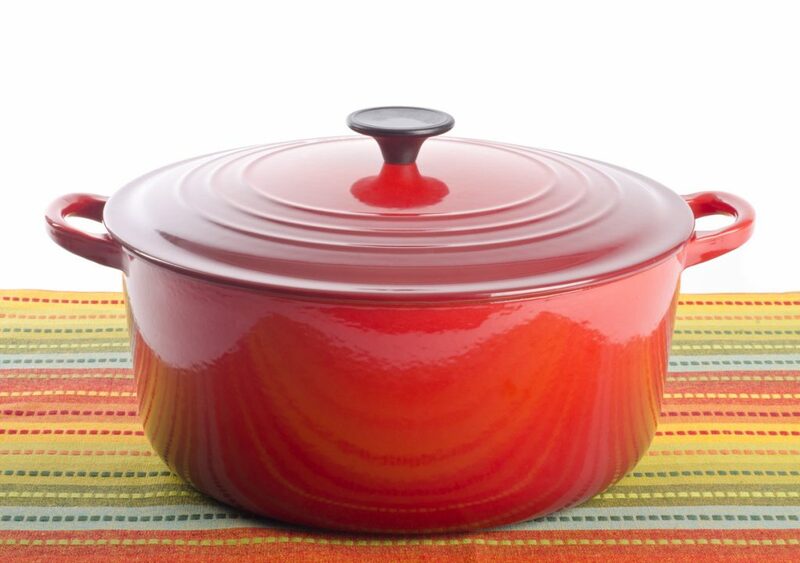 The cast-iron Dutch oven distributes the heat evenly and can be used both on the stove or in the oven. Cooking in the oven or on the stovetop might require a slight liquid adjustment. Slow-cooker recipes tend to use very little liquid because the food is cooked so slowly, leading to less evaporation. You might need to add more liquid in the cooking process, to get an extra tender meat (again, the liquid quantity depends on the cooking temperature and time). Slow cooking without a slow cooker means you can’t leave the house with the oven or stovetop on. You can try this method only during the weekends, or whenever you’re at home. Never leave food cooking on the stove or in the oven unattended. Still, you have this advantage: you won’t have many preparations to do. It doesn’t matter if you use a crock-pot or a Dutch oven, the steps are the same: brown the protein (usually meat), saute the vegetables, add the liquid and cook. Slow cookers lack the ability to brown meat, so you have to use a separate pan for this. Brown the meat on the stove before adding the vegetables and liquid. 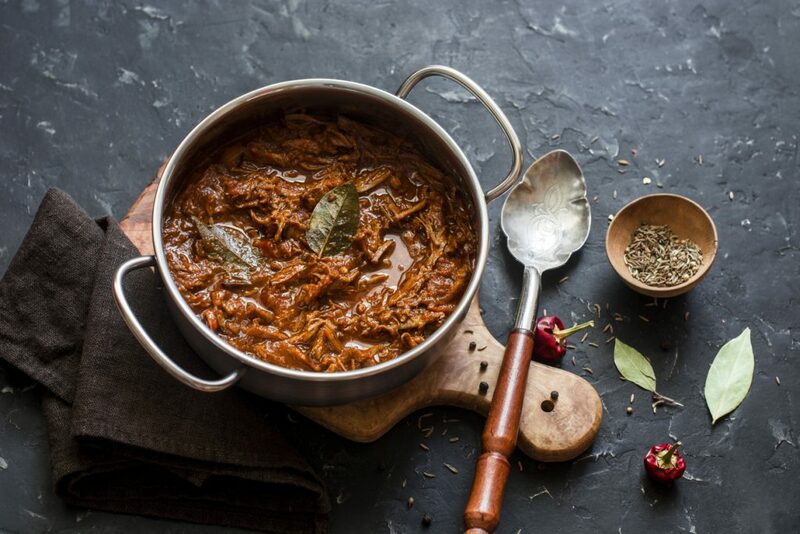 For pulled pork, the recommended cooking time is about 8 hours, depending on the temperature (ranging from 250˚F/120˚C to 200˚F/95˚C) and on the meat thickness. For chicken, you should keep in the oven for 1 to 1 and 1/2 hours in a Dutch oven, if the slow cooking recipe asks for 2 hours on a high setting. Also, the cooking time depends on the meat thickness and temperature. Cubed meat – lamb, beef or pork – needs 2 to 3 hours in a Dutch oven, if the slow cooking recipe asks for 2 to 3 hours on a high setting. Check the meat as it cooks; add more liquid if needed. 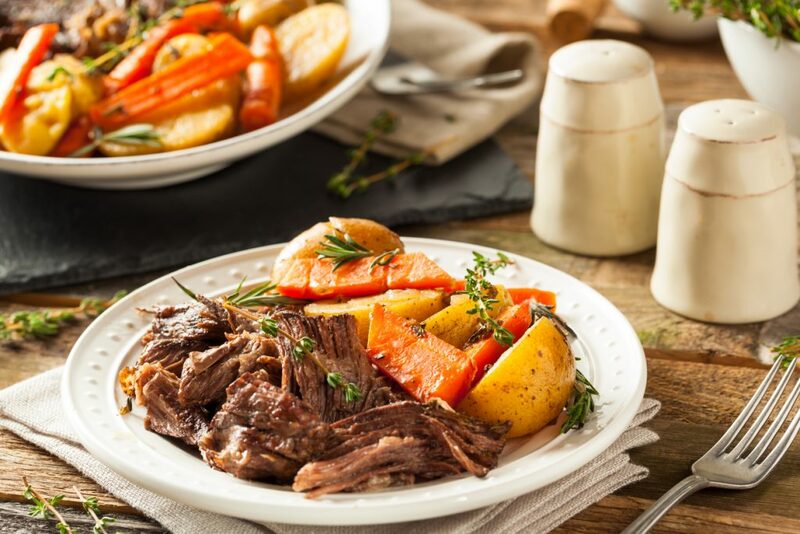 You can see our slow-cooked recipes here and, if you don’t have a slow cooker, adjust them for stovetop or oven. Article by Raluca Cristian from So Delicious. View the original article here.